I've been neglecting this blog lately. And the truth is that it is because I've been working almost non-stop on this year's L4LL Latino Children's Summer Reading Program. And I'm SO PLEASED to announce that registration opens today! Like last year, you can subscribe to the program for free and download our 2014 Reading Lists featuring Latino children's literature titles written by and about Latinos. 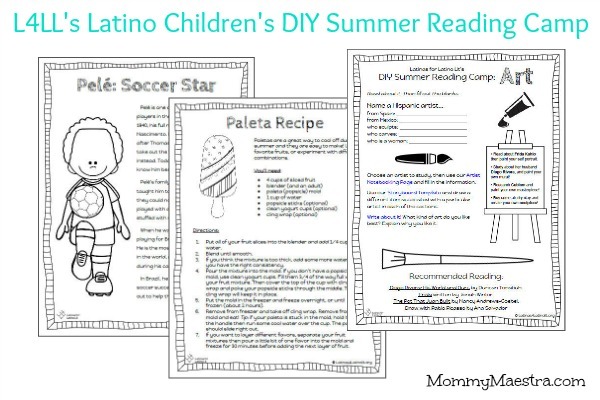 And you can also download our free summer reading kits that include a pledge to read, reading logs, and a certificate of achievement to recognize your child's reading efforts over the summer. And yes, they are still available in English AND Spanish. But this year we have added an exciting new element to the program. 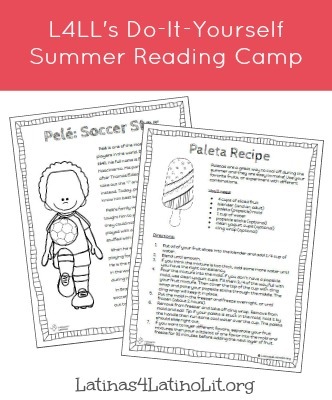 Our Premium Subscription gives your family access to our new DIY Summer Reading Camp that includes more than 100 printable activities to boost your child's literacy skills. Designed for children in 2nd through 6th grade, the 100 printables are divided into 10 engaging themes, such as Art, Music, Sports, and many others. These 10 themes are meant to cover our 10-week summer reading program. Each week, your family can explore a different theme together and try a different activity each day. While parental guidance and participation is encouraged, it is not required for children who are reading at grade level. All of the themed camps include additional reading recommendations for Latino children's literature related to each theme. And all of them are full of culturally-based crafts and activities. 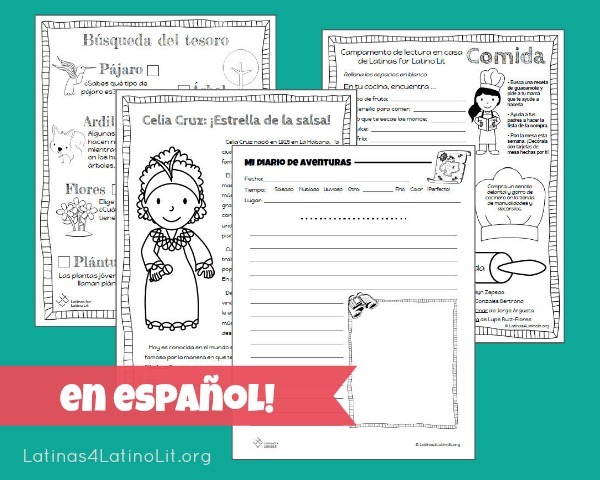 UPDATE: A SPANISH version of all these printables now available! You can purchase the individual files each week for only $6 through your free subscription, or just get them all at once with a Premium subscription. Additionally, if you are concerned about the materials meeting educational benchmarks, you might be happy to know that all of the 10 themes are Common Core aligned. If you don't care about Common Core, then you can rest assured you don't have to worry about it. ALL of the printables were designed with children (my own!) in mind FIRST and created to be engaging and FUN while helping to develop literacy skills. There is a modest fee of $50 for the Premium subscription. This one time payment covers the entire summer and gives access to every printable in our summer reading program. That equals $5 a week. However, MommyMaestra readers get 10% off the cost of a Premium Subscription. Just enter the coupon code mm1410 when you checkout. While the L4LL Latino Children's Summer Reading Program officially runs from June 1st to August 10th, you can head over there today, subscribe and receive immediate access to our program downloads so you can start preparing for June 1st. ALL subscribers (both those who subscribe to our Freemium and Premium subscriptions) can take part in our summer reading program and all of those subscribed families who submit a list of 8 books that your child(ren) read over the summer are automatically entered to win great prizes, such as free school supplies, Nexus tablets, Google Play gift cards and more. So head on over to Latinas4LatinoLit.org and sign up today!